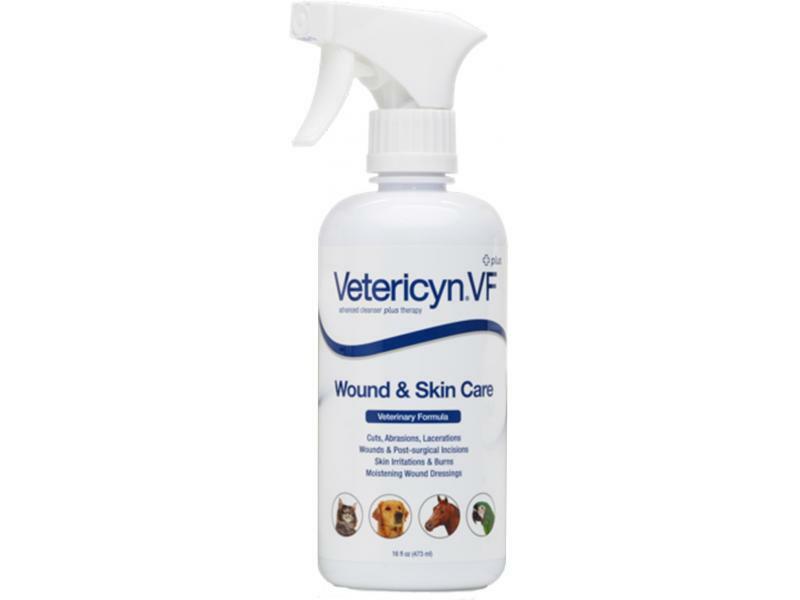 As the World's leading broad-spectrum, non-toxic antimicrobial, Vetericyn is an easy to use, all-in-one topical spray boasting instant relief for minor cuts, bruises, irritations, wounds and grazes. 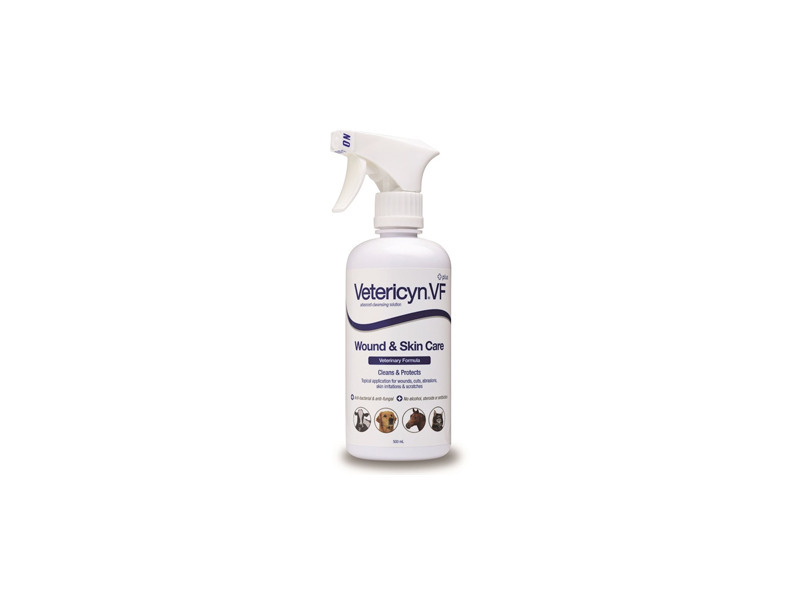 Available in either a Regular or Veterinary Formula (double strength) variety, this anti-bacterial and anti-fungal spray is certified for equine competitions, FEI and HRA compliant, pH neutral and clinically proven. Usually used on dogs and horses, but is regarded as safe for all animals. 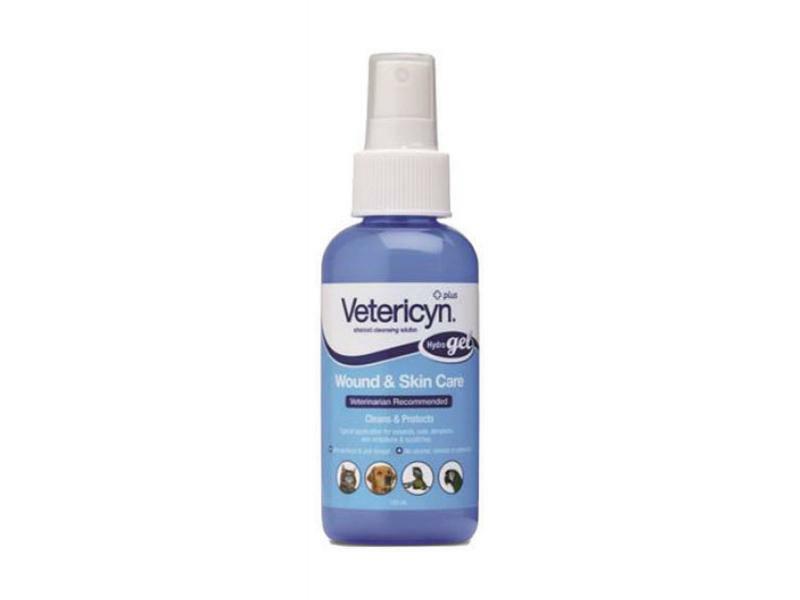 Vetericyn Regular is suitable for smaller animals such as dogs, cats, parrots and lizards. 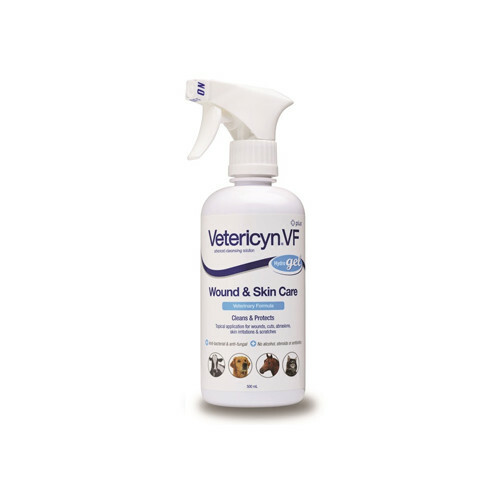 Vetericyn VF (Veterinary Formula) is twice the strength of the Regular Formula so is for larger animals such as horses, cattle, pigs and dogs. Below are some recent questions we've received regarding Vetericyn Wound And Skin Care Spray, including answers from our team. Can it be used for a puncture wound my dog was bitten ? My dog has a puncture wound after bein bitten can the spray be used to prevent infection ? This product is useful immediately after a bite has been sustained, but it is less effective on older wounds and is of very little use once a wound has scabbed over and appears dry on the surface. It might be too late for this particular bite wound. Bathing in dilute salt water (1 teaspoon to a pint) is quite helpful immediately after a bite has been received. 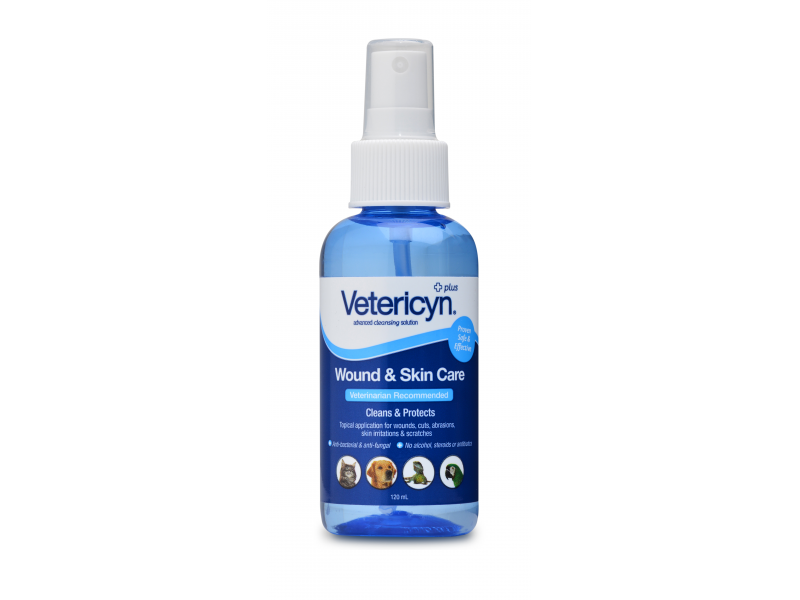 If a wound fails to seal over with a dry scab, then the Vetericyn can help, but your vet might need to provide antibiotics too. Deep puncture wounds and any bite wounds over the chest or abdomen are best treated by your vet in any case, to help prevent possible complications. Yes this can be used on hot spots. It is important to clean away any discharge and debris on the surface of the skin as well. If it is very itchy, you will need to try and prevent any excessive chewing or scratching at the area as this makes it much worse. This should not cause trouble, but you should only apply a small amount at a time.